33-year-old Michael McGibbon died after being shot in the leg. POLICE IN BELFAST have arrested a man aged 34 in connection with the killing of taxi driver Michael McGibbon on Friday night. 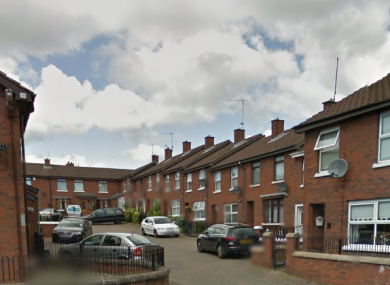 The 33-year-old, father to a young family, was shot three times in a leg in an alleyway in the Elmfield Street area of north Belfast at around 10pm on Friday. He was taken to Royal Victoria Hospital but later died from his injuries. The victim had no criminal record and no apparent criminal connections. In an appeal yesterday the PSNI said that the attack bore the hallmarks of a paramilitary murder and that those who carried it out had no legitimacy within the community. Officers revealed that two men had called to Michael’s home on the evening of last Thursday 14 April, asking him to step outside. When he refused they said that they would return. The first male was described as having been in his early twenties, slim and wearing a red hooded top with a baseball cap and a scarf over his face. The other male was described as being in his late teens, with a grey hooded top, a baseball cap and a scarf over his face. The male has been detained on suspicion of murder. He will be questioned at Musgrave police station in Belfast. Email “Taxi driver killing: Man arrested over alleyway shooting of 33-year-old ”. Feedback on “Taxi driver killing: Man arrested over alleyway shooting of 33-year-old ”.